A horse trader has been handed an anti-social behaviour order (Asbo) after allowing horses to fly-graze and stray on to roads in the Vale of Glamorgan. Tom Price of Glamorgan Horse Traders cannot let animals he owns or looks after on land without written legal agreement of the land owner. 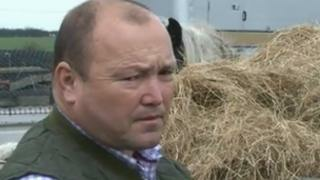 He is also banned from selling or transferring ownership of a horse if his ownership details are out of date. Vale of Glamorgan trading standards and South Wales Police took the action. Christina Roberts-Kinsey, principal trading standards officer at the council, said: "I hope the introduction of the conditions will address the issues faced in the Vale of Glamorgan. "I am pleased to advise that Mr Price has been prevented from allowing animals owned by him, or under his care or control, to stray on the highway and also from keeping horses on land without a valid written legal agreement of the land owner. "He has also been prevented from selling, or transfering ownership, of a horse which is not correctly identified, where the details have not been updated with his ownership details." Pc Mike Hawkes, anti-social behaviour co-ordinator for South Wales Police in the Vale of Glamorgan, said: "Our positive action in securing this Asbo demonstrates that police in the Vale of Glamorgan, along with our partner agencies, are tackling anti-social behaviour within our communities and are getting tougher on those who display this type of behaviour."